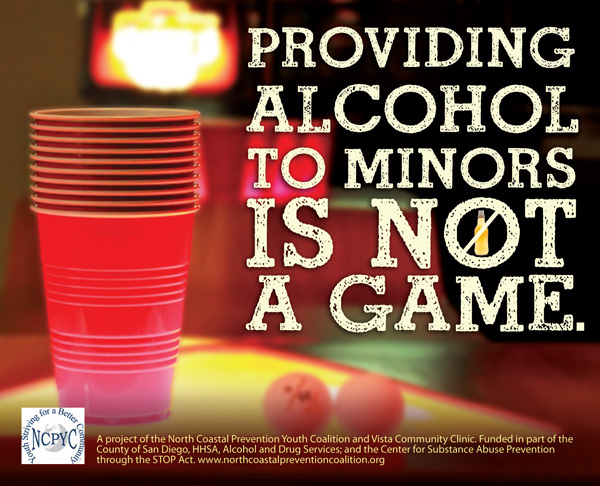 The goal of the Youth Voice Project is to increase community awareness of the risks of underage drinking, and remind adult customers that allowing underage drinking is not only against the law, it also leads to many negative consequences. The Social Host law, adopted by all cities throughout San Diego county, authorizes police to cite anyone who hosts a party, gathering or event where minors are allowed to drink alcohol. All signs include messages in English and Spanish. Youth members recruited about a dozen stores and markets throughout Vista and Oceanside that will allow them to post signs with prevention messages. The youth will post the signs in local stores on Wednesday, October 26, 2011 from 3 PM to 5 PM. Participating stores in the campaign include the Red and White Market, Value Plus and Northgate.